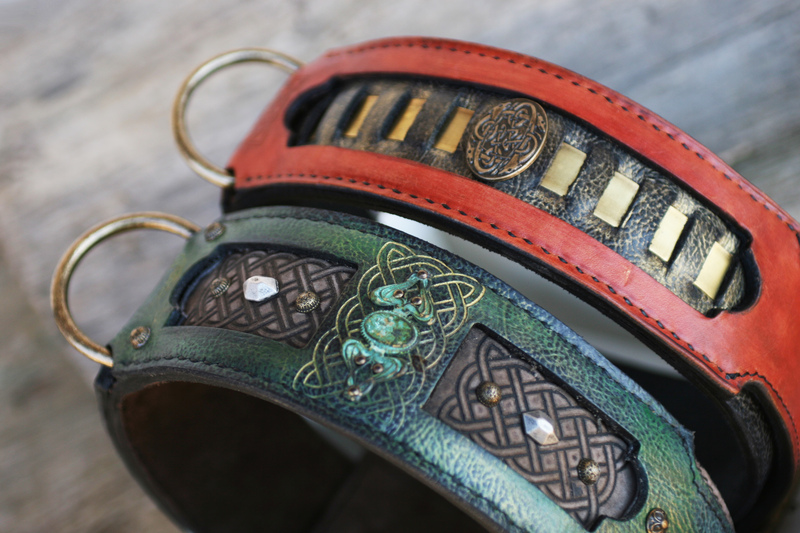 Nowadays we see many leather dog collars all over the web being advertized as handmade so we decided to share information on this matter with you. 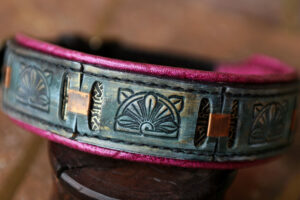 Handmade should denote a product being processed without the use of a machine i.e. requiring a specific handcrafting skill. That’s why we find of utmost importance making clear that not all dog collars advertized as handmade are actually being handcrafted and very seldom if any are being hand stitched. A craft is a particular skill or set of skills that require much time to be mastered – it may seem long ago when being an apprentice had a specific meaning and it usually required 5-7 years of diligent apprenticeship to master the craft. Speaking of the traditional skills, hand stitching is one of them. 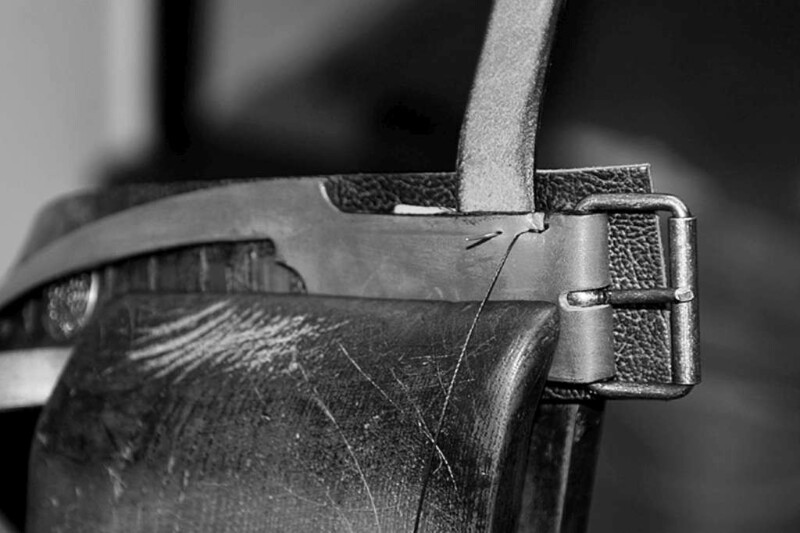 It belongs to the saddle making tradition and is rarely used for dog collars because it requires many years of practice. 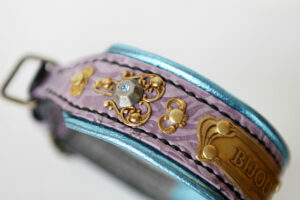 For hand stitching a stitching pony, needles, thread and diamond shape awe are used. Hand stitching is irreplaceable when you want to make a particularly strong leather product while the stitch itself is truly an additional ornament – beauty of handwork really shines through. 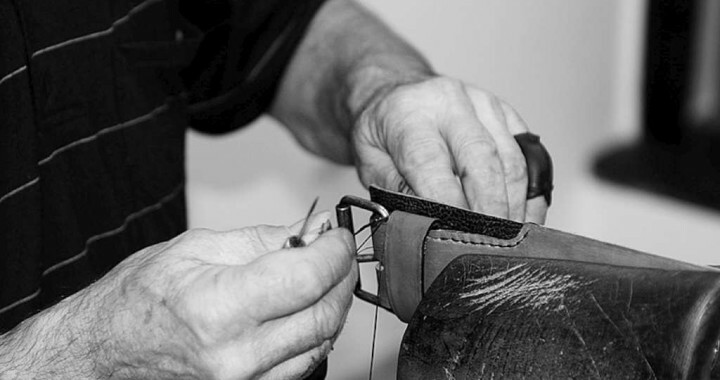 Besides the stitching a qualified saddler is highly skilled at hand-cutting the leather. Good knowledge of leather is also needed e.g. which pieces to use for strength and durability. 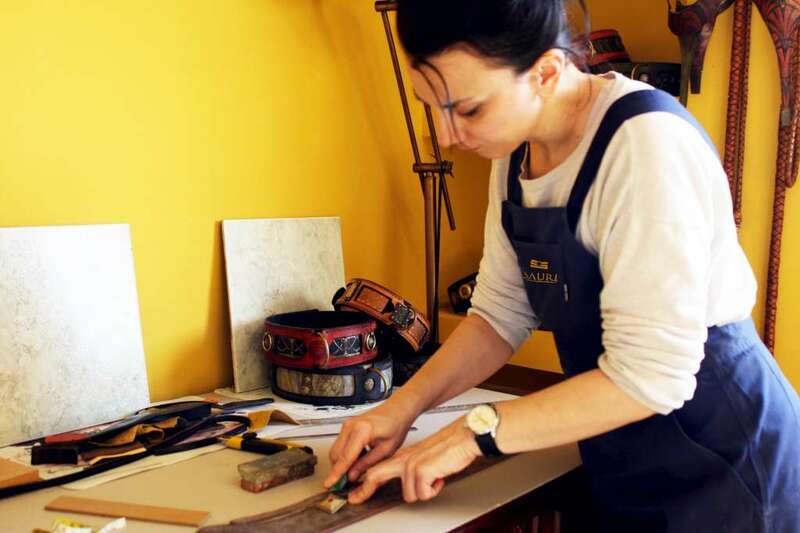 Workshop Sauri employs leather craft workers and artists led by a head of design Sanja Vekić and a qualified master saddler Lale Petrović. 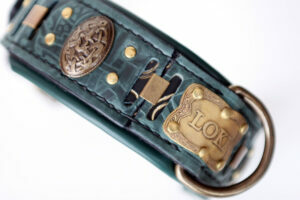 It means a lot of hard and diligent work to handcraft a compact, durable and beautiful leather dog collar. Creating an art composition, layer by layer, element by element, using traditional handcrafting methods implies more working hours and greater dedication. Every single collar is unique and consists of several working stages demanding skills, concentration, preciseness, imagination. Compared to the mass production it is obvious that with the handmade products repetitiveness is completely avoided, substituted with the appreciation for details. 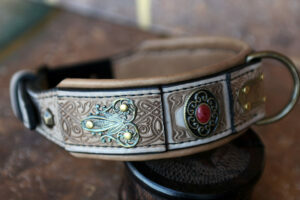 So to design perfectly adequate and esthetically superior handmade leather dog collars first you have to know craft: have artistic sense and master handcrafting skills. To love and know dogs are the second and third most important thing. 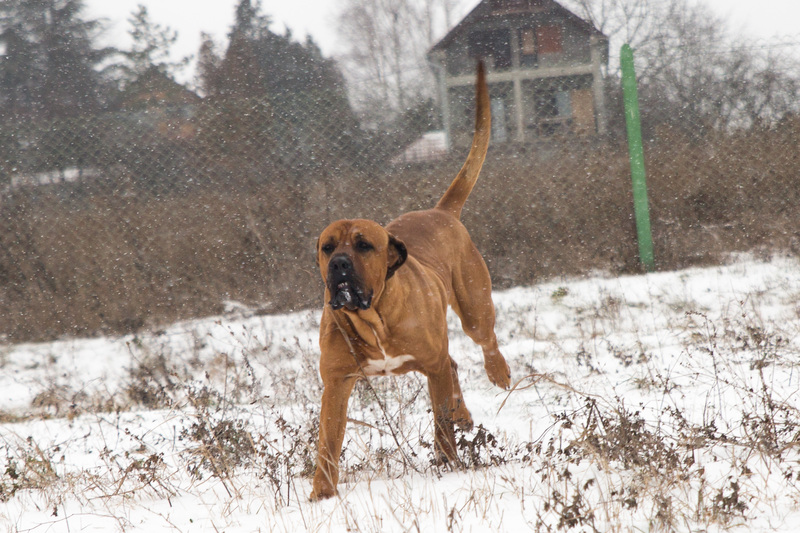 This is why we want you to know that Sauri leather dog collars are labor intensive unique handmade products of the highest quality.